Great Britain was slower than its continental neighbours to latch on to the possibilities of picture postcards, and it was 1894 before the Post Office gave the green light to their private publication for use through the mail with an adhesive stamp. Plain postcards were introduced in 1870, and some illustrated and advertising cards were used with pre-printed stamps, but their use and popularity were limited.Even after 1894, picture postcards did not immediately become a big success. Early examples showed seaside and city views rather than subjects or themes. By 1902, however, things were moving: subject cards had been published featuring the Boer War and royal events, and in that year, the Post Office allowed both address and message to be written on one side of the card, freeing up the whole of the other for the picture. 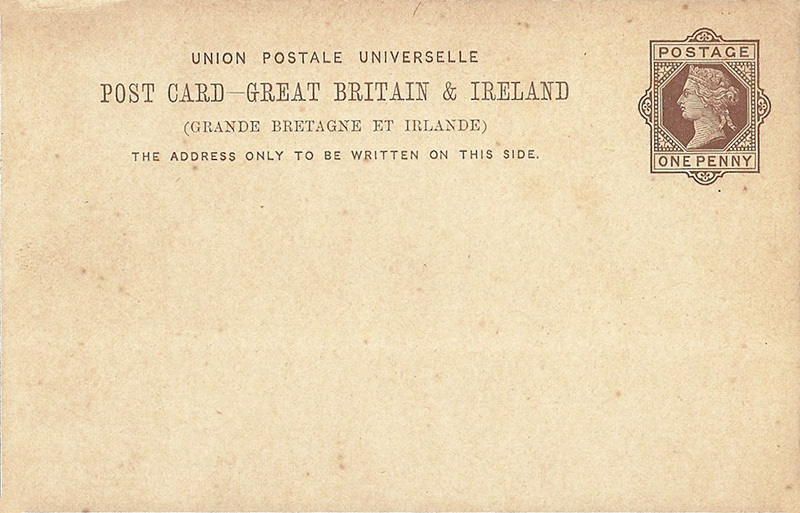 Britain thus became the first country to introduce the 'divided back' postcard format we are familiar with today. By this time, too, the size of cards had been largely standardised. 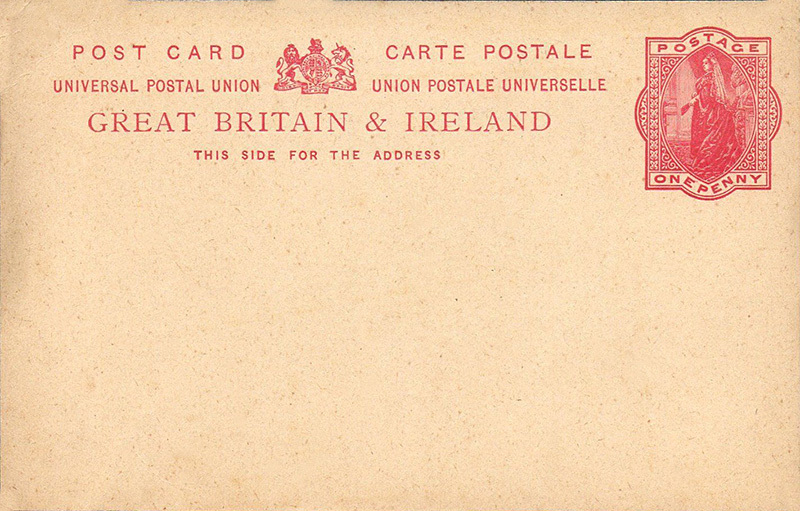 Postal stationery cards. Introduced in the UK in 1870 these plain backed cards were produced with pre-printed stamps for convenient correspondence. Although named 'Post Card' they are not really considered as such by purist picture postcard collectors. A magazine was published from 1900-7 to cater for the craze, and publishers met the demand by issuing postcards on every conceivable subject. Millions of postcards went through the postal system every week, and a high proportion finished up in someone's album, to be rediscovered by collectors in the second half of the twentieth century. The First World War changed the emphasis of the subjects featured, and afterwards picture postcards never regained their popularity. Increasing use of the telephone did not help the postcard's cause, either. Fewer types were published as most firms involved in postcard production changed tack or simply stopped trading. By the 1970's, however, the medium began to regain its credentials as an advertising and art item, and today has a high profile again in High Street shops, lifestyle bars and cafes, and entertainment venues. Moreover, since the 1950's, old postcards have been keenly collected by a growing number of people. Picture postcards from the past 100 or so years are now appreciated by tens of thousands of British collectors, a situation mirrored in much of Western Europe, North America and Australasia.